Have you ever wondered how to make your own soup? 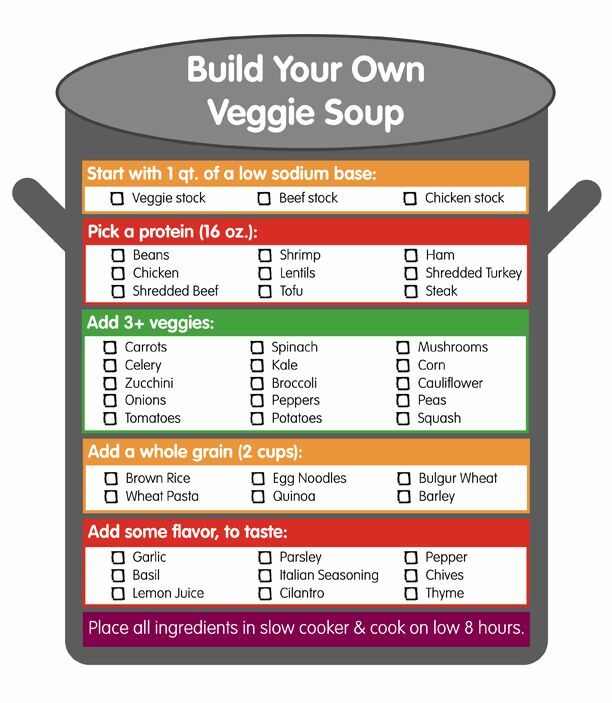 I have too but then I found this great Build Your Own Soup Recipe Chart that makes it so much easier! Enjoy!